Nothing bundt Cakes is a gourmet bakery located in Dulles, VA. They specialize in hand-made, premium quality desserts with an irresistible taste. Nothing bundt Cakes are available in numerous sizes to accommodate gatherings both large and small, from bite-sized Bundtinis, to single serving Bundtlets, to larger 8″ and 10″ cakes and even double-tiered cakes. In addition to cakes, the bakery features an assortment of artfully designed gifts and decorations with a playful, timeless quality to help make any occasion ever more special. France Saunders is the Chief, Joy-Giving Officer. She agreed to take a few minutes out of her busy schedule to talk to me about her business Nothing bundt Cakes. BMIA.com: Hello France. Tell me about your gourmet bakery Nothing bundt Cakes. France Saunders: At Nothing bundt Cakes, our mission is to spread joy in everything we do. We are not in the cake business, we are in the Joy-Giving business. We give Joy with our one-of-a-kind, crafted-by-hand cakes and our warm servant’s heart. We inspire our guests to give Joy, to bring it proudly into every room they enter. And to know their Joy will ripple forward, from one circle to the next. We support, indulge and honor this. We see opportunities for Joy-Giving everyday and the “just-because Joys.” And when the big moments come, we rise to the occasion and exceed it. Smiles, hugs, tears and laughs – this is our menu. Nothing bundt Cakes is more than a stop on someone’s checklist. We are where you turn when you want to give a little more. So others can feel a little more. Our gift to the world does not come from an oven. Our gift comes from the soul. BMIA.com: Wow! I want to work for you. Your passion and the way you talked about your business was “value centered.” I felt it your commitment to giving Joy. This sounds like a fun place to work. France Saunders: It’s a great place to work. BMIA.com: Do you have any new cakes for the holidays? France Saunders: During December we offer Peppermint Chocolate Chip as a feature flavor. We also have a gluten free cake on our regular menu. The flavor is Chocolate Chip Cookie. France Saunders: Our best sellers are White Chocolate Raspberry, Chocolate Chocolate Chip, Lemon and Red Velvet. BMIA.com: Wow! Please forgive me for drooling. The thought of a White Chocolate Raspberry and a Chocolate Chocolate Chip gourmet cake made me pause, with Joy, of course. BMIA.com: Do you have gift cards? France Saunders: We certainly do have gift cards. You can get a gift card starting at $5.00. BMIA.com: There are many people reading this interview who are not located near your bakery in Virginia. How can they get your fabulous cakes? France Saunders: We offer online ordering on our website and delivery service. Click here to order online. BMIA.com: This is great. France, I know you have to get back to Joy-Giving. I appreciate you taking the time to talk about Nothing bundt Cakes. On behalf of Black Men In America.com and all of our site visitors, we wish you and your staff continued success with your business and a happy and safe holiday. France Saunders: Thank you Gary. Have a safe and happy holiday. If you want a unique experience and some great tasting cakes, visit the Nothing bundt Cakes bakery in Dulles, Virginia today! Tell them Gary sent you! Hey Buddy!, I found this information for you: "A Conversation with France Saunders of “Nothing bundt Cakes” Gourmet Bakery". 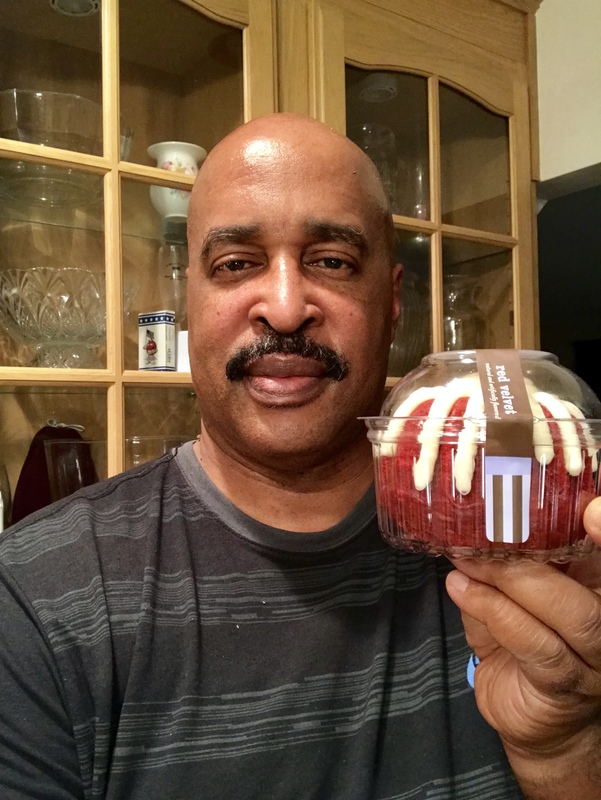 Here is the website link: https://blackmeninamerica.com/a-conversation-with-france-saunders-of-nothing-bundt-cakes-gourmet-bakery/. Thank you.